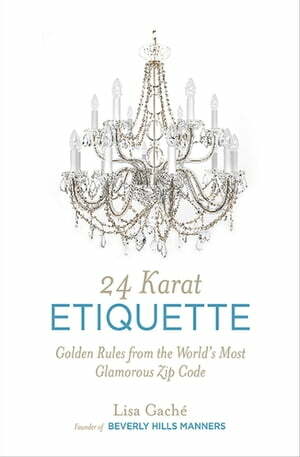 Collins Booksellers - 24 Karat Etiquette by Lisa Gaché, 9781628734195. Buy this book online. From a Beverly Hills etiquette guru comes this “must-read” behind the scenes look into her clients’ unique social dilemmas, debacles, and transformations (Dr. Phil). In Beverly Hills, fame and wealth can buy everything—except class, grace, and sophistication. In 24 Karat Etiquette, the founder of Beverly Hills Manners, Lisa Gaché, describes transforming her awkward, boorish, and sometimes difficult clients into social virtuosos. She provides practical solutions to a variety of social challenges—from dining with decorum to red carpet protocol—which is why her services are in demand from Saudi princesses to Oscar winners, talent agents to child actresses, butlers, and football players. Of course, in today’s technology-driven world, Lisa also dispenses expert advice on social media netiquette. If a tweet hits the fan, repercussions are real and can be devastating, whether you’re a “nobody” or a “somebody.” Everyone can pick up tips to apply to their own lives from Lisa’s stories about her most amusing, clueless, and stubborn clients.